2007, beginning with their implementation in primary-level healthcare facilities. 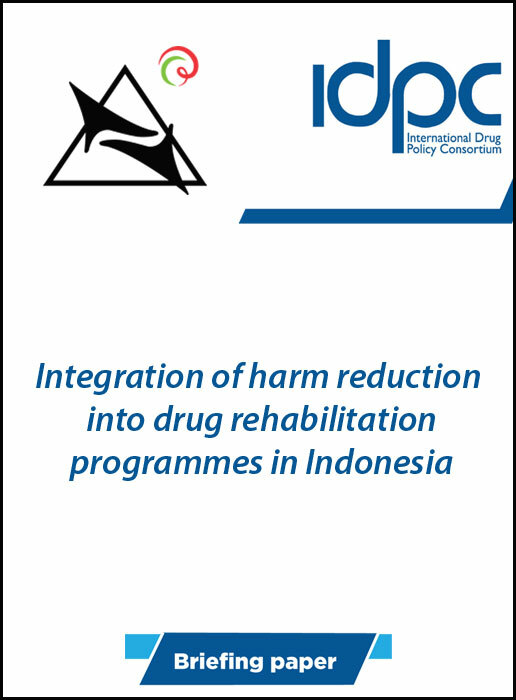 Harm reduction programmes differ from the majority of drug rehabilitation programmes in Indonesia, with the latter focussed on the achievement of abstinence. From when they were established in the late 1990's, rehabilitation programmes in Indonesia typically adopted the approach of setting behavioural change and abstinence from drug use as the only goals. No compromise on these goals were allowed in determining a client’s successful completion of a rehabilitation programme. Harm reducti on on the other hand, refers to a set of policies, programmes and practices aimed primarily at reducing the harms associated with drug use, which could range from health, social to economic harms, without necessarily focussing on ending drug use. However, as harm reduction programmes rolled out in Indonesia, mispercepti ons about them have arisen, particularly amongst policy makers and service providers working with people who use drugs. Many stakeholders perceive harm reduction interventions as an attempt to condone and legalise drug use, making it difficult for rehabilitation service providers to embrace them. At the same time, there is a strong perception amongst harm reduction advocates that rehabilitation service providers stigmatise people who use drugs by considering drug use and relapse as signs of moral failure, which deters people who use drugs from accessing health services. There is a need to overcome current barriers undermining harm reduction interventions, and for them to be integrated into rehabilitation programmes that currently only offer abstinence-based programmes. In addition, evidence-based drug prevention and treatment programmes need to be integrated into harm reduction programmes, in order to improve the quality and accessibility of all programmes and services for people who use drugs.